In a dispute that minors in Davao Del Norte were being taught a different version of the National Anthem, former Bayan Muna Party – list Representative Satur Ocampo, on Monday, challenged Philippine National Police Chief Director General Oscar Alabayalde to validate such claim. In a statement, Ocampo maintained that he does not have any information to which Lumad schools have been indoctrinating youngsters with ‘radical’ materials. "I don't know what General Albayalde... from what source. He has to produce evidence if he claims... that would be a ground... he has to produce the evidence," the former Solon said in an interview on ABS – CBN News Channel (ANC). "I'm not aware of that. I don't know of any instance that another version of the National Anthem is being taught. What's the point?” he added. The Lumads told Albayalde during his visit in Talaingod, Davao Del Norte claiming the lessons being taught were rather different, not less than the National Anthem. "Nung nakausap natin ang mga lumad, sabi nila kahit na 'yung Pambansang Awit iba ang itinuturo. Pinipilit po nilang isama sa school na 'yan, 14 minors para mag-aral kuno pero iba po ang tinuturo," the PNP Chief said. Alliance of Concerned Teachers (ACT) Party list Representative France Castro urged Albayalde come and visit one of Lumad shools to see how ‘academically’ achieved the students are. 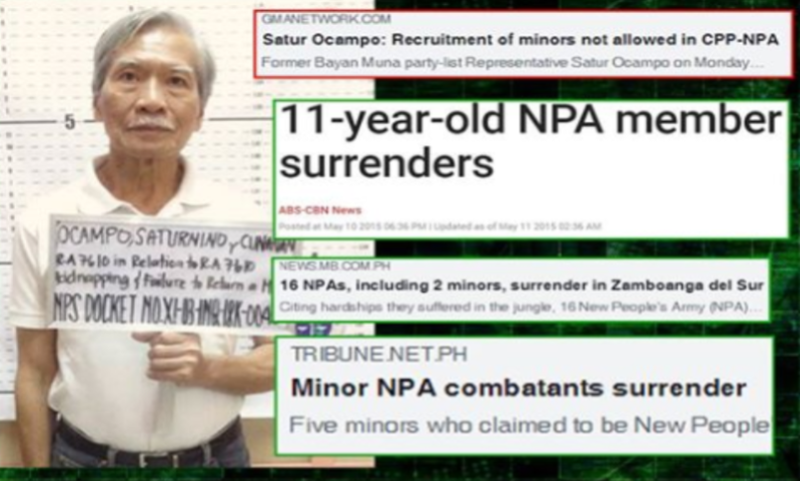 In another interview on ANC, Ocampo the military’s claims that young children are being allured to join the Communist Party of the Philippines (CPP) and its armed wing, the New People’s Army (NPA). The former Solon however, confessed that the very presence of communist rebels hounds the Lumads to this day. "There is a rule in the CPP-NPA against recruitment of minors so definitely that cannot be a part of the program... There are lumads that join the NPA, but they are not minors," Ocampo said. "One component of this counter-insurgency is to eliminate indigenous schools which they accuse, or they say... are being exploited or being run by the New People's Army... They are directly targeting these schools as part of the campaign of the government," he added. Ocampo also clarified, saying that some students who were estranged in the area were left on the streets, which allegedly motivated his group to expedite a ‘rescue mission’ which was eventually halted by authorities. Ocampo, along with Castro and 16 others have been criminally charged for kidnapping and human trafficking attempts and illegally holding minors during their alleged ‘solidarity mission’ in Talaingod. All of them, however, were released from detention over the weekend after posting P80,000 bail by each of the captured. 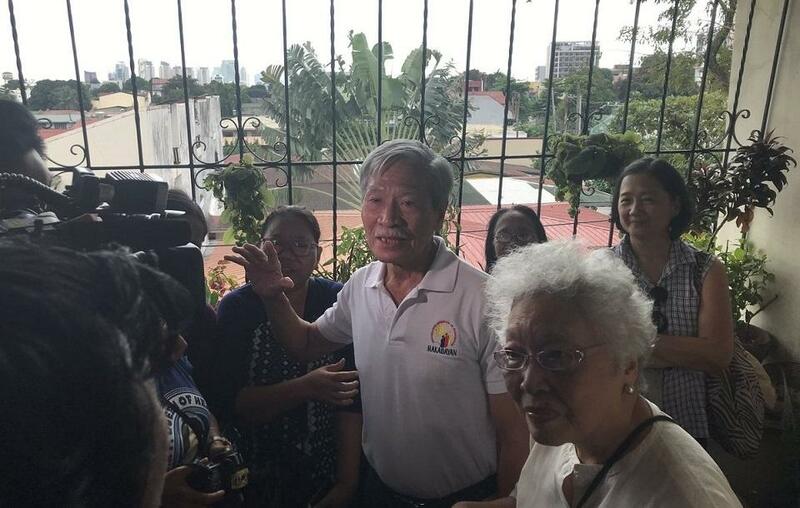 Ocampo’s camp is now eyeing the possibility of filing counter – complaints against individuals behind their detention which they consider as ‘harassment’ to those who are willing to extend a helping hand for those in need.